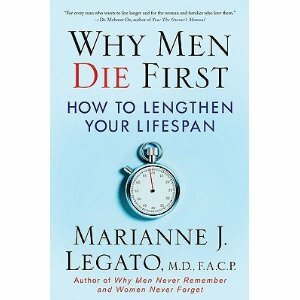 The Menstuff® library lists pertinent books concerning death. See also Issues Health. Chethik, Neil, Fatherloss: How sons of all ages come to terms with the deaths of their dads. Sigmund Freud called it "the most poignant loss" of his life. Actor Sean Connery termed it "a shattering blow." Writer Norman Mailer likened it to "having a hole in your tooth. It's a pain that can never be filled." 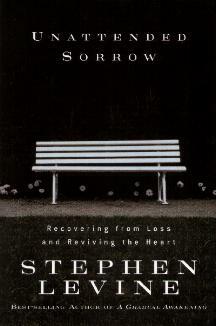 The experience of losing a father - no matter when or how it occurs - tests the strength and resilience of a son. In the worst of circumstances, the loss can propel a son toward despondency; in the best, it can inspire in him a new appreciation for his life and loves, and move him with urgency to make the most of his remaining years. Based on a landmark national survey of more than 300 men, and in-depth interviews with 70 others, this book is a rich and nuanced exploration of one of the most common and least studied events in men's lives. 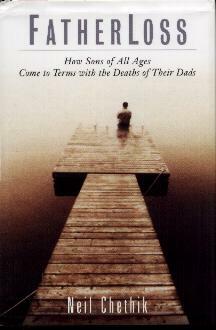 The book offers a fresh view of the male grieving process and practical advice to help guide sons through the loss of their fathers, no matter what stage of life the son is in when the death occurs. The author original research is fascinating and often surprising. His study finds, for example, that a man's relationship with his spouse or partner is twice as likely to get better than worse after the death of his father. The book also offers portraits of John F. Kennedy, Jr., Michael Jordan, Ernest Hemingway, and other well-known men, focusing on how they came to terms with the deaths of their fathers. And in the closing chapter, the author, the father of a seven-year-old son, shares what he learned about being a father during his three years of research. 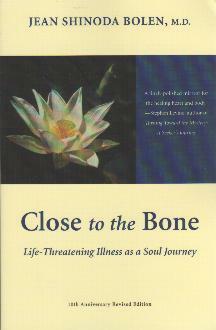 Compelling and compassionate, this is an extraordinary resource for anyone facing the death of a father, or still adjusting to such a loss that occurred years or even decades ago. 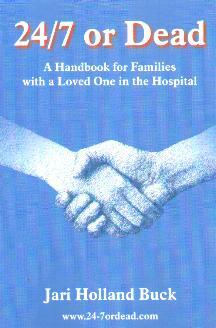 See another review at www.kentuckyconnect.com/health/stories/men/0109father_loss.htm Hyperion, www.HyperionBooks.com 2001 ISBN 0-7868-6532-6 Buy This Book! O'Nana, Stewart, A Prayer for the Dying. Dark, poetic and chilling, this book asks if it's possible to be a good man in a time of madness. Set in leafy Friendship, Wisconsin, just after the Civil War, it opens harmlessly on a languid summer day; only slowly do events reveal themselves as sinister, bloom gentley into a shared nightmare, as one nieghbor after another succumbs to a creeping, always fatal disease. Our sole witness to this epidemic is Jacob Hansen, Friendhip's sheriff, undertaker and pastor, a man with a large heart and conscience. As the disease engulfs his town, breeding hysteria, Jacob must find a humane way to save those he loves, short of calling a full quarantine and boarding up the sick in their houses. And what of the tramps slipping nightly through the tinderdry woods, and the spiritualists from the city camped on the edge of town with their charismatic leader, Chase? Who will bury the dead properly, if not Jacob? This is a rare and scary book and the author's most astounding achievement yet, a sunlit Gothic painted in shimmering prose that darkens and disturbs your complacency the further you go into it, until - as in the best Poe and Flannery O'Connor - there is no turning back. Henry Holt www.henryholt.com 1999 ISBN 0-8050-6147-9 Buy this book! Approximately 125 male fetuses are conceived for every 100 females. 105 baby boys are born for every 100 girl babies. 33% more boys than girls die in the first year. At 18, it's 100/100 boys to girls. At 65 its 68/100, and at 85 its 44/100 men to women. The rapid pace of life is nothing to worry about - the abrupt stop at the end is.